for RealAudio 5 comments by the composer, 3:44. In RA 14.4.
for RealAudio 3 stereo version of Harmonium #5 6:47 / 989K. for RealAudio 3 mono version of Harmonium #5 6:47 / 788K. for RealAudio 2 mono version of Harmonium #5 6:47 / 395K. 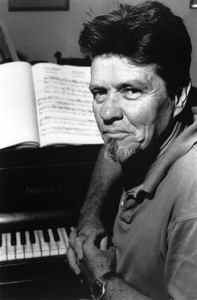 James Tenney was born in 1934 in Silver City, New Mexico, and grew up in Arizona and Colorado, where he received his early training as a pianist and composer. He attended the University of Denver, the Juilliard School of Music, Bennington College (B.A. 1958) and the University of Illinois (M.A. 1961). His teachers have included Eduard Steuermann, Chou Wen-Chung, Lionel Nowak, Carl Ruggles, Lejaren Hiller, Kenneth Gaburo, and Edgard Varèse. A performer as well as a composer and theorist, he was co-founder and conductor of the Tone Roads Chamber Ensemble in New York City (1963-70). He has long been active in the field of electronic and computer music, working with Max Mathews and others at the Bell Telephone Laboratories in the early 1960s to develop programs for computer sound-generation and composition. He has written works for a variety of media, both instrumental and electronic, many of them using alternative tuning systems. 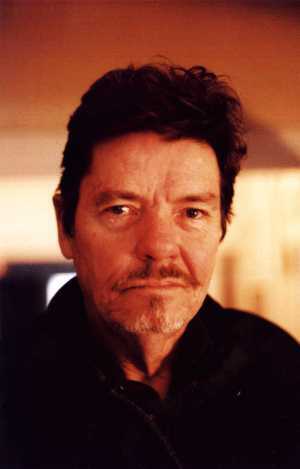 He is the author of numerous articles on musical acoustics, computer music, musical form and perception, and two books: META + HODOS: A Phenomenology of 20th-Century Musical Materialsand an Approach to the Study of Form (1961; Frog Peak, 1988) and A History of 'Consonance' and 'Dissonance' (Excelsior, 1988). 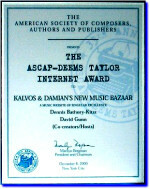 He has received grants and awards from the National Science Foundation, the National Endowment for the Arts, the Ontario Arts Council, the Canada Council, the American Academy and Institute of Arts and Letters, the Fromm Foundation, the DAAD (Germany) and the Jean A. Chalmers Award for his work Critical Band. He has taught at the Polytechnic Institute of Brooklyn, California Institute of the Arts, and the University of California, and is currently Professor of Music at York University in Toronto, where he was recently named Distinguished Research Professor, the first in the history of the university from the Faculty of Fine Arts. His music is published by Sonic Art Editions (Baltimore) and the Canadian Music Centre, and distributed by them and by Frog Peak (Lebanon, NH); recordings are available from Aerial, Artifact, CRI, Ear, Frog Peak, Hat Hut, Mode, Musicworks, Tellus, Toshiba EMI, and ¿What Next?. Unless otherwise noted, copyright is held on works by: Sonic Art Editions Smith Publications 2617 Gwynndale Ave. Baltimore, MD 21207 410-298-6509, 410-944-5113 fax All rights reserved. Distributor. Sneezles. Soprano, flute or alto recorder, clarinet, vibraphone, violin, guitar, tenor-bass trombone, contrabass; (1995); 3'. Copyright JT. Tempest II. Mechanical drum; (1994); 3'. Written for Stephan von Huene's mechanical drum. Copyright JT. In a large, open space. Variable instrumentation, 12 or more instruments; (1994); indeterminate length. Written for the Krems Minoritenkirche. Copyright JT. Form 4. 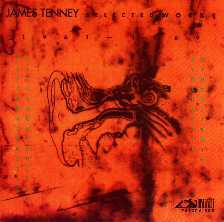 Variable ensemble (at least 16 players: woodwinds, brass, strings, and pitched percussion) (1993); 16'. For Morton Feldman. Copyright JT. deus ex machina. Tam-tam player, tape-delay system, technician, and unwary audience (1982); variable duration. Harmonium #3. 3 harps (1978/80); 15'. Harmonium #4. 10 instruments and tape-delay system (1978); 12'. Harmonium #1. Variable ensemble (1975/76); variable duration. Three Harmonic Studies. Orchestra (1974); 10'. Canon. Contrabass quartet (1973); 6'. For 12 Strings (rising). (1971); variable duration. 1. Beast. String bass (1971); 7'. For Buell Neidlinger. 2. A Rose Is A Rose Is A Round. Voices (1970); variable duration. 3. (night). 'For percussion perhaps, or . . . ' (1971); variable duration. For Harold Budd. 5. Maximusic. Verbal score for percussionist (1965); variable duration. For Max Neuhaus. 6. Swell Piece #1. Verbal score for any number of sustained-tone instruments (1967); variable duration. 7a. Swell Piece #2. Verbal score (1971); variable duration. 7b. Swell Piece #3. Verbal score (1971); variable duration. 8. August Harp. Solo harp (1971); 20'. For Susan Allen. 9. Cellogram. Solo cello (1971); 7'. For Joel Krosnick. 10. Having Never Written a Note for Percussion. Solo percussionist (1971); variable duration. For John Bergamo. Choreogram. Verbal score for any number of musicians performing with dancers (1964); variable duration. String Complement (with Ergodos I or II). 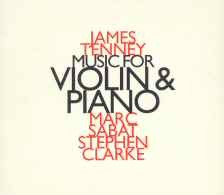 Bowed-string instruments (1964); 12'. Piano/Percussion Complement (with Ergodos I or II). (1964); variable duration. Sonata for Ten Wind Instruments. (1958/1983); 5'. 'Thirteen Ways of Looking at a Blackbird'. Rev. for bass voice, ob, alto fl, vla, vcl, cbs (1971); 6'. Tenor voice, 2 fl, vln, vla, vcl, (1958); 6'. Text by Wallace Stevens. Interim. Piano (1952); 22'. For the film of that title by Stan Brakhage.